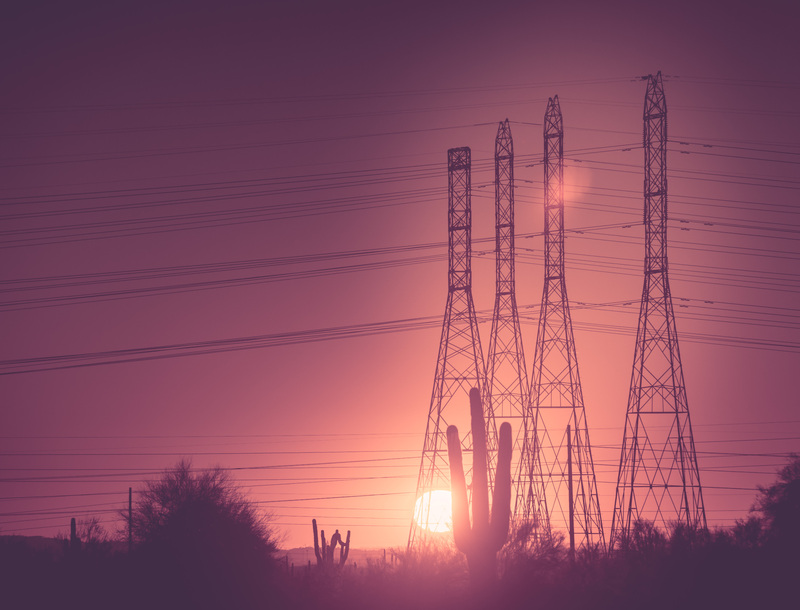 The Arizona Business Resilience Initiative was launched in 2015 with a $100,000 grant from the UA Office of Research, Discovery & Innovation to focus on areas of concern to electric utilities operating in the arid Southwest. A team of University of Arizona researchers and industry partners at Tucson Electric Power Co. have developed a replicable, collaborative framework that companies can use to integrate climate and environmental risk assessment into corporate business plans. The pilot project is called the Arizona Business Resilience Initiative, or ABRI. It was launched in 2015 with a $100,000 grant from the UA Office of Research, Discovery & Innovation to focus on areas of concern to electric utilities operating in the arid Southwest. Researchers from multiple departments gathered, interpreted and synthesized information on current climate conditions and developed future scenarios to enable TEP to better assess opportunities, manage operational risk, improve the ability to react, and enhance overall resilience to potential climate change and variability. "As a land-grant university, we take seriously our role in fostering partnerships with industry, and ABRI provided an opportunity for us to provide business practice training for researchers while reaching out to help the greater community," said Kimberly Andrews Espy, UA senior vice president for research. Working with TEP, the UA core project team identified four risk areas: heat, wildfire, water and air quality. The team assessed and summarized TEP's planning requirements and then assembled science teams to tackle each risk area. With expertise in geography, climate science, environmental science and natural resources, the teams were able to incorporate different perspectives, techniques and methodologies into their analyses and a final report. "Our goal was to create a model through which interdisciplinary teams could address the climate change and variability challenges an industry partner like TEP faces during the planning process," said Andrea Gerlak, associate professor in the UA School of Geography and Development and associate professor at the Udall Center for Studies in Public Policy, who led the project. Ben McMahan, an assistant research scientist in the Institute of the Environment who helped Gerlak write the final report, said, "We designed the project framework to be iterative, and the strength of this approach was the regular interactions we used to stay in dialogue with TEP. These meetings were a chance for University scientists and students to connect their expertise to real-world decision-making needs." Because time and resources are constrained in private industry, having an academic partner enhanced TEP's ability to plan and address the challenges the company faces, said Jeff Yockey, TEP's manager of energy resource planning. "We supplied certain business information, and the UA team of experts applied advanced analytical tools and methodologies, such as GIS (geographic information system) and climate modeling to our data," Yockey said. "They were then able to develop short- and long-term risk profiles, for us to evaluate as part of our long-term planning." One particular concern for TEP was whether the equipment the utility is developing specifications for today will wear out sooner due to increasing temperatures in the future. The research results allayed these concerns because the operating specifications in place are already designed to withstand temperatures beyond those forecasted. "This result was reassuring because, by and large, industry doesn't have the tools or the time to apply the analytical rigor of an academic institution," Yockey said. On campus, the researchers who participated in the ABRI process benefited from exposure to the corporate planning process. "I am a much better listener because of the experience and much more flexible with respect to iteratively reworking research approaches to generate a usable end product for decision-makers," said Kerrie Geil, currently an applied science research fellow at the Oak Ridge Institute for Science and Education, who used her involvement with ABRI and the UA-based Climate Assessment for the Southwest program to provide context for her doctoral dissertation. Jaron Weston, who graduated from the UA with a master's degree in natural resources and an MBA and now works for San Diego Gas & Electric, said his experience as part of the ABRI team gave him a deeper perspective on the planning problems utilities face. "The challenges are wide-ranging and vary depending on geography. San Diego Gas & Electric, for example, has to consider sea level rise, which TEP does not," he said. Weston added that he was able to leverage the ABRI experience to find a job. "ABRI allowed me to observe the private sector and academic sector interacting. A lot can be gained from this type of cross-pollination," he said. "The more relevant your experience is, the better your chances of finding the job you trained for."